If you’re a superyacht charterer or owner, it is essential that you ensure as many of your devices as possible are protected against the adverse effects of water. A waterproof camera is the perfect starting point, not just for keen divers and snorkelers, but also to ward off any unfortunate overboard mishaps. Here's our pick of the best. Leica has always been the discerning man's brand of choice for stylish cameras that don't skimp on technology. 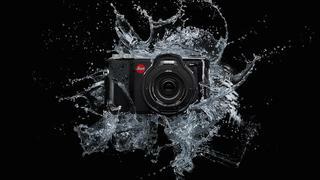 However, the one thing always missing from the Leica stable was a hard-wearing action camera suitable for underwater photography - until now. The Leica X-U boasts a 16.5 megapixel sensor, 3-inch LCD screen and high-resolution 1080p video shooting capability. 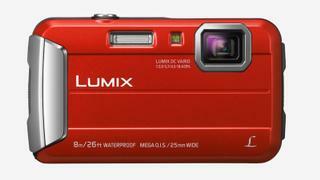 Better yet it's waterproof to 15 metres and has a double locking system to protect both the battery and memory card. If you've always wanted a Leica but have been too worried about accidentally dropping it overboard then this is the camera for you. If you’re after a starter camera for young sailors and sea-life enthusiasts then the Lumix DMC-FT30 promises fantastic value for money. Shockproof, dustproof, freezeproof and waterproof (up to 8 metres), this fun little camera also packs in 16 megapixels, a wide-angle zoom lens, full HD video and a range of colour choices at a price that won’t break the bank should accidents happen. 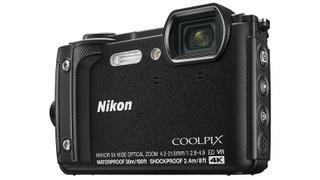 This compact digital camera is waterproof up to an astonishing 30 metres, shockproof to 2.4 metres and will work at temperatures as low as -10C making it ideal for the avid snorkeler or explorer. With in built time lapse, GPS, 4K video recording, Bluetooth, WifFi, 16.1 megapixels and a 5x optical zoom lens, this has everything the amateur photographer needs in one smart package. 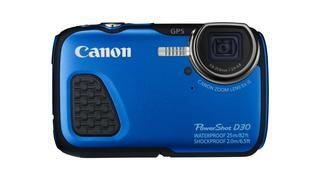 Waterproof up to 25 metres, this compact and colourful digital camera packs a lot into a small space. Ideal for explorer yachts, this camera is also freezeproof to -10C and drop-proof from 2 metres making it one of the toughest on the market. With 12 megapixels, a 5x optical zoom lens, GPS, high-definition video recording and a 3-inch screen, you won’t get much more bang for your buck. 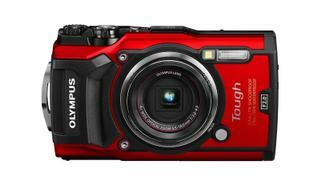 If you’re after an easy-to-use camera created with holidays in mind then Olympus’ Tough TG-5 could be for you. The new flagship model in the Tough range, it has been upgraded with the TruePic VIII image processor used in Olympus' Pro range making it the ideal gadget for high quality group shots, family snaps and self-portraits with turtles. It also boasts a wide-angle 4x zoom lens, 12 megapixels and is waterproof, shockproof, crushproof, dustproof and freezeproof (in case it should end up in the hands of little ones).